Description: Blue and white striped ribbon. Five-armed cross and the Finnish Lion. In the middle of the cross on the obverse the Olympic rings, on the reverse the year 1952. 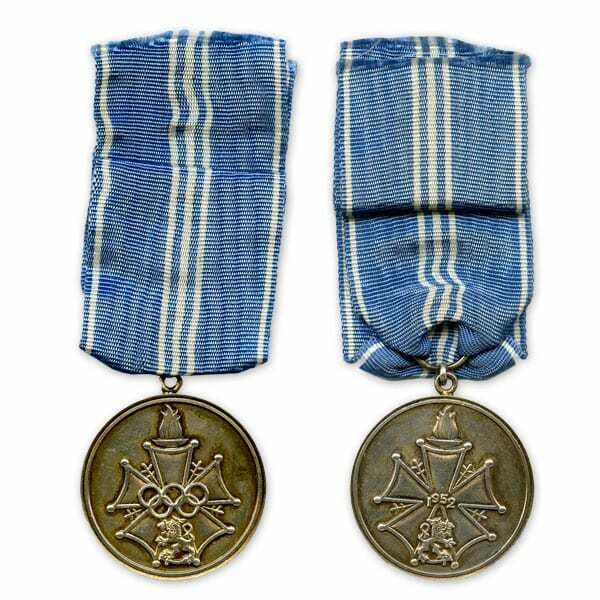 Other information: Awarded to officials after the Olympic Games. There were a total of 2,000 recipients.